That’s how Avraham Weill, the chief rabbi of Toulouse, describes what he views as the main appeal of his charismatic mentor, who in 2008 became the republic’s chief rabbi. 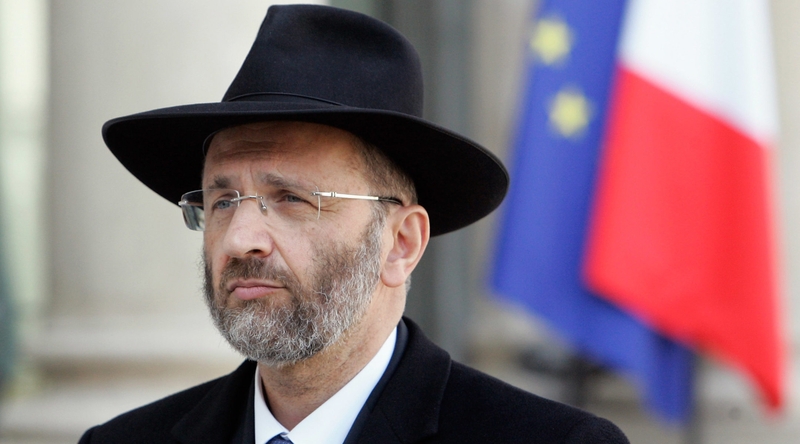 Now it seems the charisma and media appeal that helped Bernheim, 61, secure the chief rabbi post and become a major voice for French Jewry are proving to be a double-edged sword. Since late March, the French media has been running a fine-tooth comb through his background as evidence mounted that Bernheim had committed several instances of plagiarism and let others believe he held an academic degree he never actually earned. After initially denying one accusation, Bernheim acknowledged plagiarizing in several of his writings in an interview Tuesday with the Paris-based Radio Shalom. He also admitted his failure to correct biographies that said he possessed an “agregation” — a French title obtained in a competitive exam that Bernheim never passed. But while conceding he had made “serious mistakes,” Bernheim insisted he would not resign. On Wednesday, The Consistoire, the Jewish religious services body that employs Bernheim, said it would hold an emergency meeting the following day in light of Bernheim’s radio interview. Like his colleague across the English Channel, Rabbi Jonathan Sacks, Bernheim has become a regular presence in the French media, routinely commenting on contentious issues not immediately connected to the Jewish community, like the ban on mosque minarets in Switzerland and moves to legalize gay marriage in France — both of which he opposed. When he was elected chief rabbi in 2008, at the relatively young age of 56, Le Parisien celebrated his triumph in an article that described him as “an intellectual, fervent defender of interreligious dialogue, the new face of French Jewry.” The article also mentioned the credential Bernheim did not possess, but the rabbi never corrected the paper. Bernheim’s celebrity status has contributed to the enormous media interest in the plagiarism claims. One case involved a 50-page essay Bernheim wrote last year opposing gay marriage; the text contained eight sentences lifted from a book published earlier in the year. Pope Benedict quoted from Bernheim’s essay during a December address at the Vatican. The revelations have spurred calls for Bernheim’s resignation, though they have been far from unanimous.